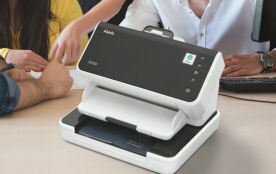 The e1025/e1035 scanners enhance your productivity by handling more of the work traditionally done by people, computers and mobile devices. Built-in barcode reading delivers data to applications. Intelligent Document Protection “listens” for a telltale crumpling sound and immediately stops the scanning process. Multifeed sensor technology is designed to detect when two or more documents are being fed into the scanner at the same time. Intelligent Barcode Reading produces the most accurate data extraction results and takes complexity out of the setup process. 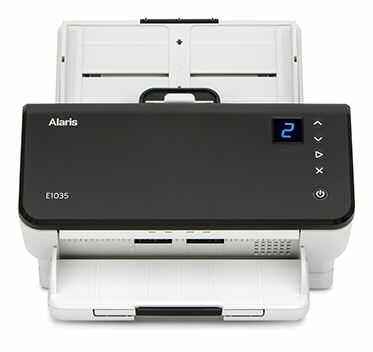 Eliminate complicated multi-step scanning processes with one-touch simplicity using Alaris Smart Touch technology. 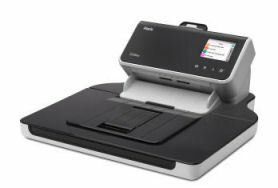 Bundled with Alaris Smart Touch to enable easy and automatic scanning, helping drive digital transformation. Connect to various applications such as Box, Dropbox, Salesforce, OneDrive, Google Drive, SharePoint, SharePoint Online, and more. Easy, icon-based color interface and one-button functionality make it easy to get the right information to the right place. E1035 is backed by a three-year, worry free warranty that gives you extended peace of mind. 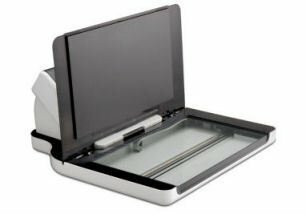 With the e1000 Series models, you get our exclusive Perfect Page Scanning. This suite of built-in technologies automatically makes color, grayscale and bitonal scans incredibly clear, for excellent readability—by people and OCR software alike. Sometimes you need a flatbed, sometimes you don't. Sometimes you need a flatbed, but many times you don’t. That’s when our tethered flatbed design saves valuable workspace. 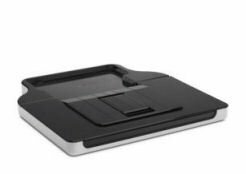 Just attach the flatbed via tether to your e1000 series scanner and easily cruise through all your exception scanning items. The flatbed can scan at up to 1200 dpi. When you’re done, the flatbed detaches just as easily for storage away from your desktop. But don’t hide it, because a detached flatbed can serve the needs of multiple work groups or departments. Sharing is good, and in this case, it’s more economical, too. Available in both Legal and Letter size scan areas. 8.5 in. x 118 in. 2.08 in. x 2.05 in. 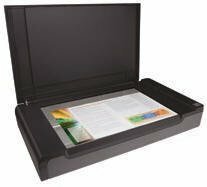 A4/legal size flatbed, Passport flatbed, Capture Pro Software- Pro version. Download the brochure with specifications. * Throughput speeds may vary depending on your choice of driver, application software, operating system and PC. 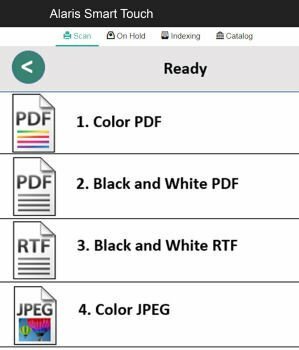 to take full advantage of your scanner's features. Extends your Advanced Unit Exchange warranty from 3 years to 5 years of coverage. Usage: approximately 1 per day. Works Great...Feed the sheet through and IT cleans the scanner transport for you ! Usage 2-4 times per 8 hour shift of scanning. We currently do not have reviews of this new model.